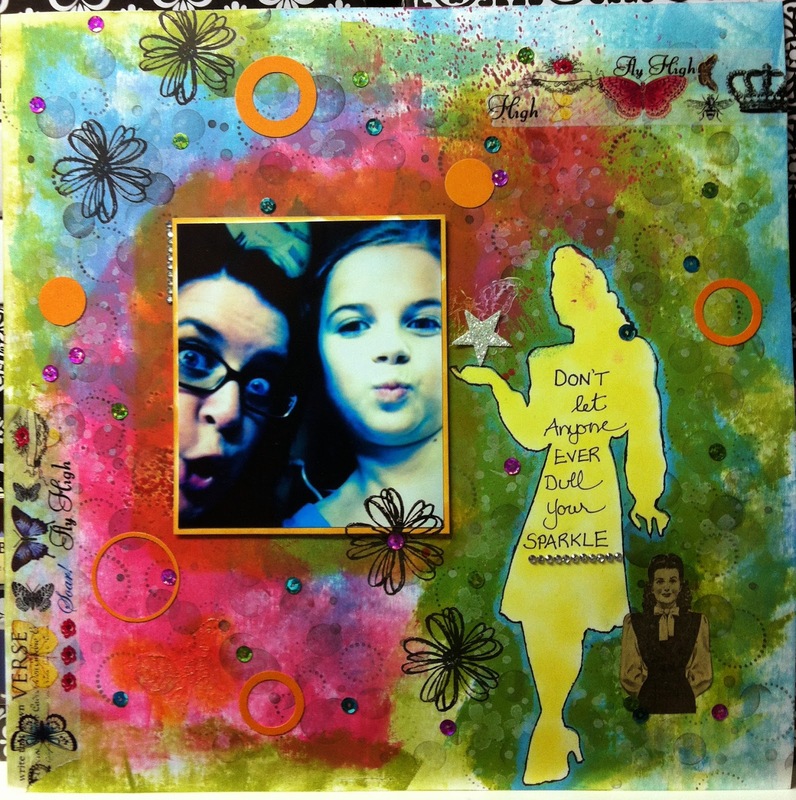 This was my attempt at an art journalling challenge a little while ago over at Soul Scrappers with Joy Anderson. It was so fun to create because you start off and you are not sure what specific direction you are heading. You try a little of this and a little of that and POW, you have your masterpiece! I do love colour so I wasn't afraid to use it here. 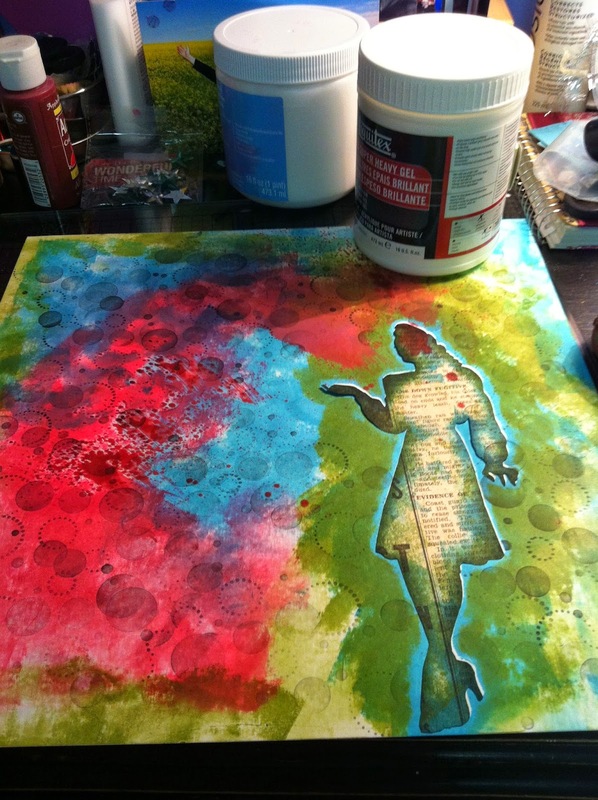 I then used more stampin up ink pads from the bold brights collection and just did random ink everywhere. I also used an old stampin up wheel and some grey ink to add some more interest. Once I had added enough ink everywhere, I punched out some orange circles and placed them for some dimension. 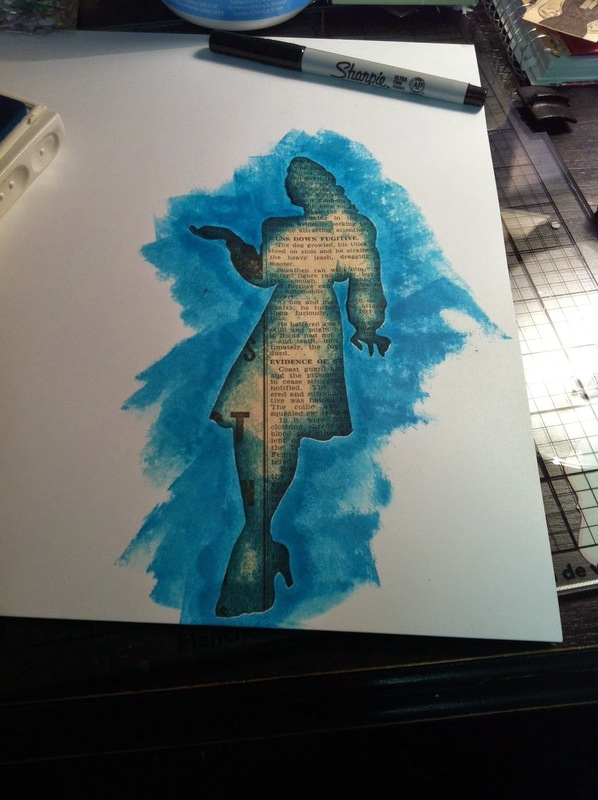 I used yellow ink and coloured in the silhouette image, I did some random stamping in black stazon on, added a photo and some washi tape. Done!